Competitive Advantage can be described as something, that the competing firms are not able to do, or it is something owned by the firm that the rivals firms wish to have. On the other extreme, Core competence is the distinct proficiency of the company, which cannot be imitated by its rivals. The two terms are closely related to one another, as these two, help in occupying a greater share of the market, satisfying customer, building brand loyalty, and delivering high-quality products to the customers. While core competence is unique to a particular business entity, competitive advantage can be easily imitated by the rivals. The basic difference between competitive advantage and core competence is that core competence helps in the creation of continuous competitive advantage, and also helps the firm to enter into new markets. Meaning Competitive Advantage implies the virtue, that helps the firm to perform better than its rivals at the market place. 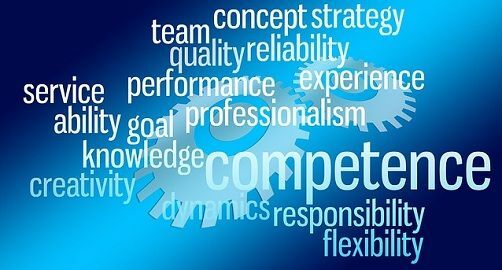 Core Competence refers to the specific skills, knowledge and expertise, that is hard to be followed by the competitors. Success Formula It does not amounts to sure success formula for a firm in the long run. It amounts to a sure success formula for a firm in the long run. Superiority It provides a temporary competitive superiority to the firm. It provides sustained superiority to the firm. Helps in It helps the firm in specific and limited way. It helps the firm in general, far reaching and multifaceted manner. Advantage Provides competitive strength in a particular business or product. Provides excellence in a variety of businesses and products. Competitive Advantage alludes to a condition, that puts a firm in a position, favourable to it, i.e. one which allows the company to produce products or services at reasonable prices, which are in vogue, for the customers. In such a situation, the firm is able to reap more profits or generate more revenue, when compared to its competitors. Competitive Advantage is something that keeps you a step ahead than the competitors. It can be attained due to some factors like product quality, brand, cost structure, customer loyalty and so forth. Core Competence can be defined as the fundamental strength of a business which includes a unique combination of various resources, knowledge and skills, which differentiates a company in the marketplace. It is the profound dexterity that provides one or more lasting competitive advantage to the company in creating and delivering perceived benefits to the customers. Core Competency is something that provides access to a number of markets, difficult to catch up by rivals and must make a considerable amount of contribution, in providing value to the customers. It can be gained by the distinct set of skills or production techniques. It provides a structure to the companies, which is helpful in ascertaining their major strengths, to strategize accordingly. Competitive Advantage can be understood as the specific feature, which helps the firm to outrun its rivals at the market place. On the contrary, core competence is defined as the set of skills and strength, that results in a competitive advantage. Competitive advantage does not ensure success to the firm in the long term. As against this, core competence ensures the success of the firm in the long term. Competitive Advantage provides a temporary competitive superiority to the firm, over other firms in the marketplace. Conversely, core competence provides a long lasting superiority to the firm, over its competitors. Competitive Advantage is a result of functional strength, whereas core competence is derived from core strength, i.e. the proficiency which is fundamental to the business or product, such as a distinct capability in business process or technology. When it comes to impact, the core competence has a far-reaching impact, as it helps the firm in general and multifaceted manner, while the competitive advantage has a limited and specific impact on the business. Competitive advantage helps in gaining competitive strength in a particular business or product. As against this, core competence helps in gaining excellence in multiple businesses and products. Core competencies are the major source of attaining competitive advantage and determines the areas, which a firm must focus. It helps the firms in identifying prospective opportunities for adding value to customers. On the other hand, competitive advantage helps a firm to get an edge over the competitors.